With a pledge to recognize First Nations’ right to determine what happens with their children in care, upcoming federal legislation pledges to change a foster care system that currently gives provinces the authority. On Nov. 30 a joint statement came from Ottawa, announcing that a new Indigenous child and family services act will be introduced in the House of Commons in early 2019. Issued by Indigenous Services Minister Jane Philpott with Assembly of First Nations National Chief Perry Bellegarde, Inuit Tapiriit Kanatami President Natan Obed and Metis National Council President Clement Chartier, this new legislation is aimed to curb the severe overrepresentation of Aboriginal children in foster care. Despite comprising just 7.7 per cent of Canada’s children, youngsters from an Indigenous background account for 52.2 per cent of those in foster homes across the country, according to census figures. In Western Canada the prevalence of First Nations, Metis and Inuit children in the foster care system is even more severe than the national figures. In British Columbia, where Indigenous youngsters account for less than one tenth of children in the province, 63 per cent of children in care come from Aboriginal descent. In Alberta this number increases to 70 per cent, while Saskatchewan cites 80 per cent of children in care being Aboriginal, and in Manitoba 90 per cent of its approximately 11,000 young people in the foster system are Indigenous. But in B.C., it’s unclear how exactly this legislation will apply to a complicated system currently being overseen by the Ministry of Children and Family Development, said Nuu-chah-nulth Tribal Council President Judith Sayers. She’s unsure if the new act will apply to those living off-reserve - which accounts for 67 per cent of registered NTC members - or how it will affect agencies currently delegated to serve First Nations, such as Usma Nuu-chah-nulth Family and Child Services. “I think if we can have those kinds of controls - if we can pass our own laws and look after our own children under our own values - I think that we’d be a lot better off,” said Sayers. 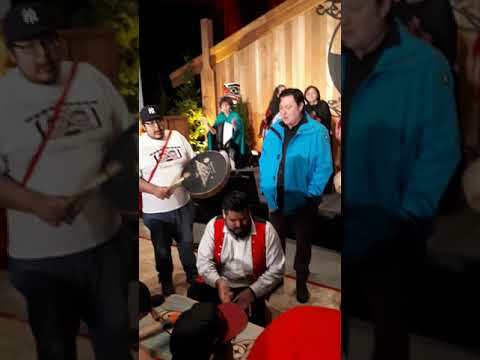 A First Nations drafting group was assembled to develop the legislation, based on over 65 engagement sessions the federal government held with almost 2,000 participants this year. On Aug. 21 leaders with the Nuu-chah-nulth Tribal Council had a chance to give input during a meeting with Philpott in Nanaimo. In preparation for that meeting, NTC leaders were given a government document citing “poverty, poor housing, parental substance abuse and domestic violence” as key causes for the overrepresentation of Indigenous children in care. But from her time as a legal advocate, Sayers believes that a misunderstanding of First Nations lifestyles has also been factor in the past. The Liberal government hopes to pass the legislation into law by the next federal election in October 2019. The new act intends to follow the Truth and Reconciliation Commission’s Calls to Action, including a directive to “affirm the right of Aboriginal governments to establish and maintain their own child-welfare agencies,” as listed by the TRC.